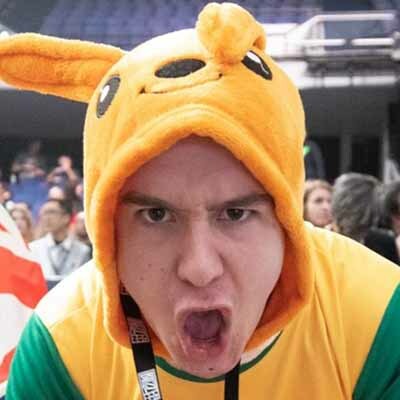 We are now halfway through the first season of Contenders Australia in 2019, so it’s high time to go back and revisit the Oceanic Rankings. While some teams continue to dominate, others have risen up to surprise pundits and players alike. Thankfully, a panel of Australian Overwatch experts has assembled to give you the low-down on the tumultuous world of Contenders Australia. face	, AVRL, Smash	, Elfish, Choco	and Ducky will lead you through the mid-season power rankings and give you a hint as to who will make it deep into the playoffs, and who will struggle to avoid relegation. 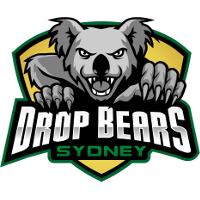 If there was any doubt about Sydney Drop Bears being the kings of Australian Overwatch, they have all but been extinguished in the last few weeks. A dominant 4-0 against Order in week 2 established their dominance over the bridesmaids once again, and while they’ve dropped maps here and there against weaker teams, the beast is always unleashed later in the series. They don’t just excel at GOATS too, but have flexed their strength on triple DPS, quad DPS and dive against various teams on their way to a 4-0 start in Contenders. A crucial match against Blank next week will probably determine if the Drop Bears lock away first seed into the playoffs for the third season running and if they can mount another title defense. It’ll take a mammoth effort for anyone to topple them, and the script is almost written for a fourth title in as many seasons. Having some time to blood Jordation	into flex support, Order have been getting increasingly comfortable over the last couple of weeks. A rough sweep against Sydney Drop Bears rocked the ship, but they’ve steadied with convincing victories over Mindfreak and Athletico. 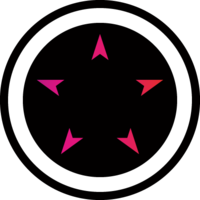 Quatz	and Adam	have been asserting themselves as arguably the best tank line in Australia, while Signed	has been doing classic Signed things on Zarya all season long. Their run into the playoffs isn’t easy, with three must-win games against Ground Zero, Blank and the Mavericks to finish out the season and secure a seed directly into the semi finals. However, if they have a strong showing in the next three weeks, they’ll be back in the conversation come playoffs as a chance to topple the unstoppable Drop Bears at LAN. Blank are Australia’s Chengdu. While you will occasionally catch them on GOATS, they are much more well known for their obscure dive, triple and quad DPS comps. It seems like everyone on that team can just play DPS - hell even tongue	outdueled Legacy’s DPS Ike	on Widowmaker in their close series last week. 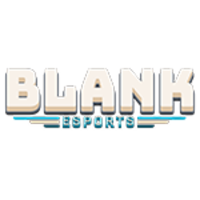 While Blank have been running the unpredictable comps, they’ve been inconsistent at times. At their highs, they could beat the Drop Bears. At their lows, you wonder if they would make the playoffs. Their roster is talented, and if they can put up consistently good results for a couple of weeks, they’ll be talked about as a grand final hopeful at LAN. They’ll need to prove themselves against the Drop Bears and Order in the next two weeks, but if they claim a victory in either match, expect the top of the ladder to shift a little bit. We go down 1-3 to @Dropbearsgg GGWP! It was a hard fought match but we couldn't quite get the W.
The team formerly known as Heist had a rough start to Contenders. Dropping their first two series against Blank and the Mavericks left them at the bottom of the ladder, but they’ve slowly been working their way back up. While having your coach sub in for one match isn’t ideal, they still showed why they were a LAN team last season by taking a map off the Mavericks while playing at half-strength. Whether the resurgence is too little too late however is yet to be seen. There is a chance we will see this roster deep in the playoffs, and this roster has looked stronger week-after-week and would definitely have a chance against the top three. However, their early season losses might hinder them from making a playoffs run and displaying their true potential. We don't close the final map out but we still take the series 3-1 GGs to @Mindfreak! We'll be back next week to take on @LegacyOCE. They've been in good form lately, so we'll have to bring it. The Mavericks have always been up there. They’ve put in a 3-1 start to the season, edging them towards the top of the table, but their wins have been against two winless teams, a half-strength Ground Zero, and then they were pummeled by Blank in Week 3. Their strong start has pretty much secured them a playoffs position, but how far up the ladder they will claim remains a mystery. That’s not to say their roster is weak. Guzto	has played phenomenally for the team after moving from Heist / Ground Zero, and the Mavericks would be hungry for a LAN appearance after many seasons of being close. They’ll have to prove themselves against the Drop Bears and Order at the end of the season, but that debut LAN appearance isn’t off the cards yet for them. After a massive tie-break series with an 8-7 marathon on Horizon, we fall to @BlankOCE. Regardless of the result, it was a great effort by our team. No one expected a team, fresh out of Open Division with no Contenders experience, to do as well as Legacy have. Sure, they might be sitting near the bottom with a 1-3 record, but they handedly swept Athletico and took Blank to the absolute limit last week in a nail-biting 2-3 loss. They are one of the best teams in the region at GOATS, but their lack of flexibility has shown a few holes teams have been able to abuse. 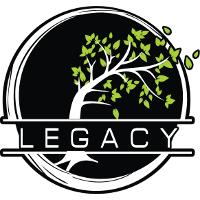 A playoffs appearance for this roster is quite likely for Legacy, which is very impressive. 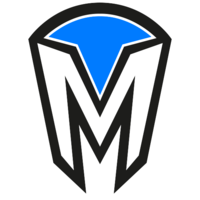 They’ve been able to piggyback off some great play by players like Ike	and Fundrae	, and if they beat Mindfreak in week 6, they’ll make playoffs bar some miraculous upsets. This team is running the royal road much like Mindfreak did last season, and the sky's the limit for this rookie roster. We’re pleased to announce that @Ackyyy2 will be joining the Mindfreak G Overwatch roster as our designated Aim Support player. 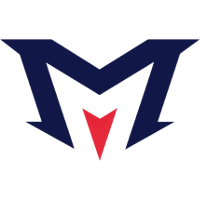 Mindfreak have struggled to find their footing in Season 1 2019. A lot of their games have been decided by one or two fights, before the game spirals out of control for the team. Recent changes this week with Ackyyy	coming over from Athletico in a direct trade for goobs	has seen the dynamic unsettled a little bit, but the kinks are slowly being ironed out. Mindfreak still have a way of making playoffs, but their next two matches are crucial. If they can beat Athletico and Legacy, they can scrape into sixth, while beating Ground Zero in the final week might see them jump up to fifth and avoid that tough third-vs-sixth quarter final. However, the likelihood of it happening is slimming by the week, and if they lose to either Athletico or Legacy, all hopes are gone. #ATHOW | Well played to our opponents today as we, unfortunately, lose our first game for 2019. We now look forward to taking on @LegacyOCE next week! 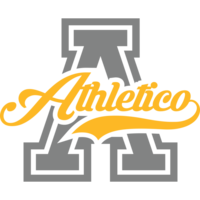 Coming into the season, Athletico was probably one of the teams you expected to not be in last. The talent is there with names like Aetar	, xZoL	and F0R	, but nothing has clicked for Athletico. Being convincingly swept by the Drop Bears, Order and even Legacy haven’t done wonders for the team morale, and a combination of poor performances and an unfavourable meta has seen Athletico fall to rock-bottom on the ladder with only one map win against the Mavericks. 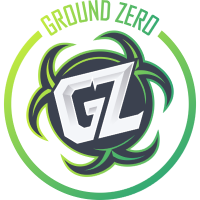 They can still turn their season around against Mindfreak, but it’ll take a miracle to make playoffs from here with Ground Zero and Blank down the pipeline. Maybe the pickup of goobs	from Mindfreak might bring a fresh face into the lineup and rejuvenate the energy behind the scenes, but I don’t think many people are holding their breath. Contenders Australia continues on March 25 with the Melbourne Mavericks taking on Legacy Esports at 3pm AEDT live on Twitch.